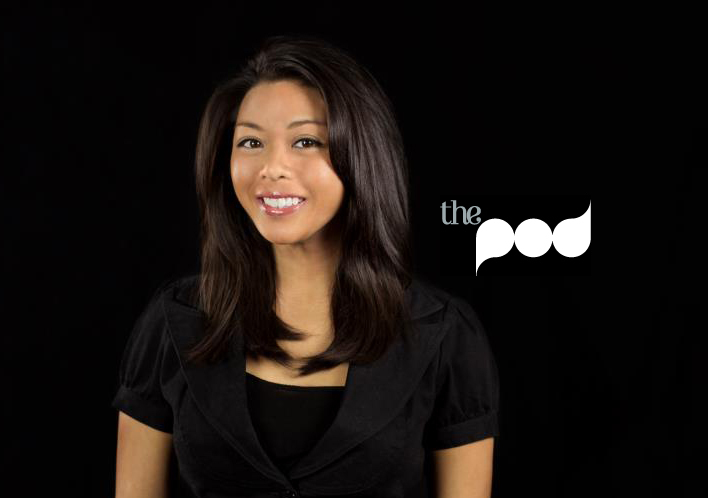 Starting January 2013, I was welcomed into The Pod Advertising creative agency as a brand new pea. I’m currently interning as a graphic designer, and from time to time I get to help with video production. My experience at the Pod Advertising has been exceptionally fun and rewarding. Just from walking in the agency’s front door, I feel a surge of creative energy. The agency is located in downtown Tallahassee, in what seemingly looks like a cozy two-story house on Park Avenue. I intern from Monday to Wednesday, bright and early. All of us at The Pod Advertising are put into groups of threes, which are called “Pods”, of course. Each group, or pod, which is made up of designers and social media editors, is assigned numerous clients and it’s up to the group to work as a team to give the clients what they need. Some of these clients include Jersey Mike’s, Bike Florida, Alzheimer’s Project, Community South Banking, and many, many more. What’s interesting about the Pod is that they use a project managing website called Wrike to delegate tasks. Project managing sites like Wrike are new to me, but I find them incredibly efficient and practical. Most of my tasks include making web graphics for our clients’ content marketing plan. This entails sharable images and cover photos for facebook, as well as web banners. While working on these tasks, I feel like I’ve learned a lot about time management, since I’ll be assigned multiple tasks at once. Also, the Creative Director is very skilled and design savvy and I’ve learned a lot of valuable tricks and tips from him. I feel like The Pod has been a great learning environment, in which I can actually apply my knowledge. My favorite experience thus far, has been helping out with one of the film production sets for a Community South Banking commercial. I loved working as one of the crew members, even if my tasks seemed miniscule. Yet when it comes down to filmmaking, no task is too small. Overall, my favorite feature about the Pod Advertising is their amazing film production team. I definitely recommend The Pod to those who are seeking video production experience. Although The Pod has been an awesome place to be, I’ve still faced a lot of challenges. Since The Pod is a professional agency, they definitely expect work to be done quickly. Also, I have struggled through creative blocks here and there, in attempt to design by the client’s established look and feel. Furthermore, sometimes I’m not sure about how much freedom I have with my designs. Ultimately though, working at The Pod Advertising has been a great experience as a young designer. I have a lot of high hopes for the future and I can’t wait until I can start working as a full-fledged professional designer.